You Can’t Afford to Miss this Super Sale! You can’t afford to miss this month’s super sale! 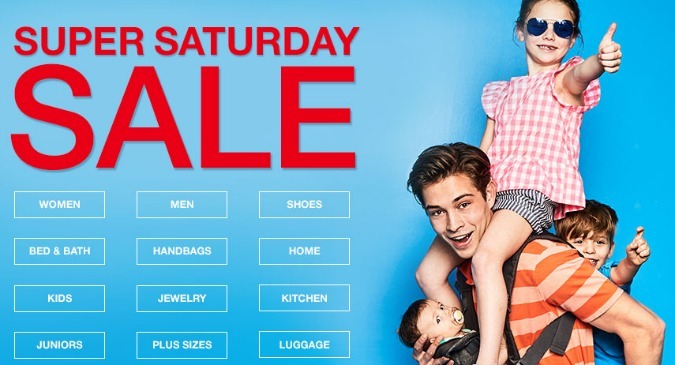 This is the one time of the month where you get to choose how you want to save at Macy’s. During the June Super Saturday sale, you can save an extra 20% simply by using the coupon code below. But did you know there’s an extra way to save? If you prefer, you can take $10 off a purchase of $25 or more in select departments. Really, the choice is up to you! So shop now and save big just in time for Father’s Day!